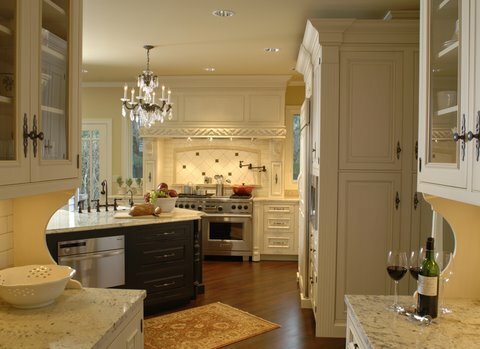 We often remodel newer builder “spec” homes that usually lack the charm of vintage bungalow and cottage-style homes. One of the best ways to add character to ordinary rooms is to install crown molding in the dining room, family room and sometimes the kitchen for added elegance. 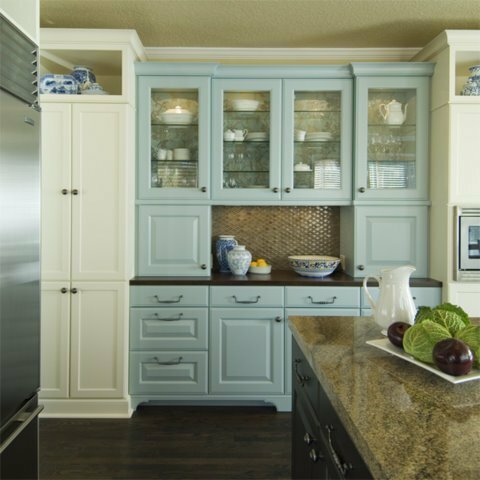 The crown molding can stand out as an accent or can be incorporated into the kitchen cabinetry, depending on the dimensions and the look and feel of your space. If your ceilings are low, we recommend painting the crown molding the wall color to draw your eye up and to give the impression of more height. Another option is to paint or stain the molding to match your existing millwork throughout the house to create a consistent yet interesting overall look for your home.